Shopify inventory management for e-commerce stores. 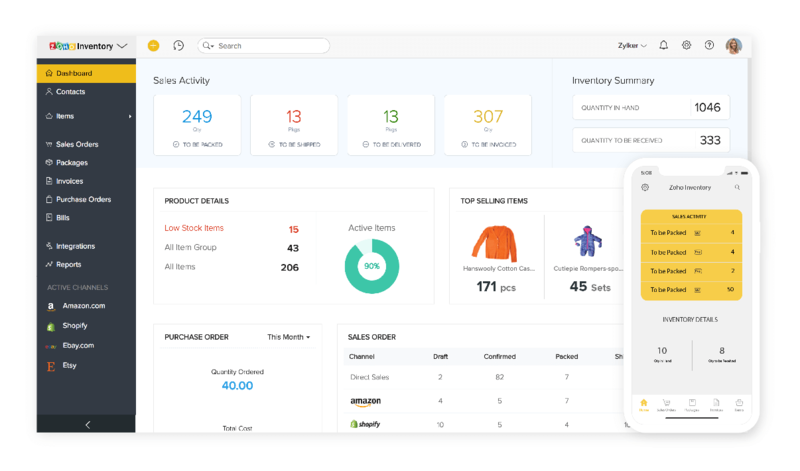 Integrate your Shopify store with Zoho Inventory to automate inventory management in your online store and save your valuable time. who want to set up an online store and start selling their merchandise. who are looking for a software to manage inventory and multi-channel sales. who are planning to take their expertise online and reach more customers. Create and experiment with different item mix to manage product bundles in Zoho Inventory. Try out different combinations and fine-tune your bundles for the best effect on your sales and customer satisfaction. Our integration with Shopify saves you from a lot of manual work. New item added in Shopify store gets automatically mapped in Zoho Inventory. Also, when a sale is made a sales order and contact gets automatically created. This also helps you to do away with the risk of improper data reconciliation. This information sync not only saves time but also keeps the data secure. 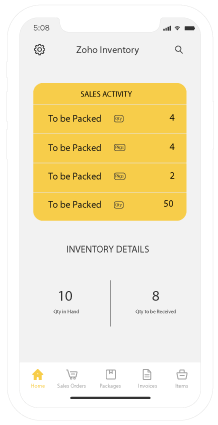 Track the movement for each item with Serial number tracking or expiration date for an entire lot with batch tracking feature. Also, you can set re-order point to get notified when the stock level falls low. This way, you always sell fresh items, never run out-of-stock, and keep an eye on their movement. With more than 30 shipping integrations, you can fulfill orders from your customers even if it is placed halfway across the world. 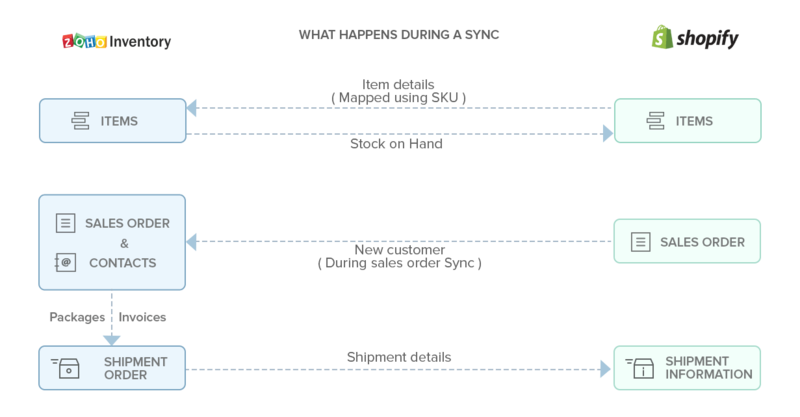 Also, with AfterShip, you can send live notifications to your customer about every movement of the package after it has been dispatched from your store. Just got upgraded to the Shopify plus plan? Or, are you using the Shopify POS application to manage many of your sales order? Guess what; you can integrate both of these with Zoho Inventory without requiring you to create an additional account. It works the same way as it does for a standard Shopify account.